A "Camel everything" outfit is mandatory every Autumn and probably I will try this monochrome combination more than once this Fall-Winter season because it is a FAVORITE for sure! Today's look is a casual one where flats were involved. Turtleneck cashmere sweater - an essential piece for cold days, cropped pants and this Vintage cashmere coat that is not new to you. 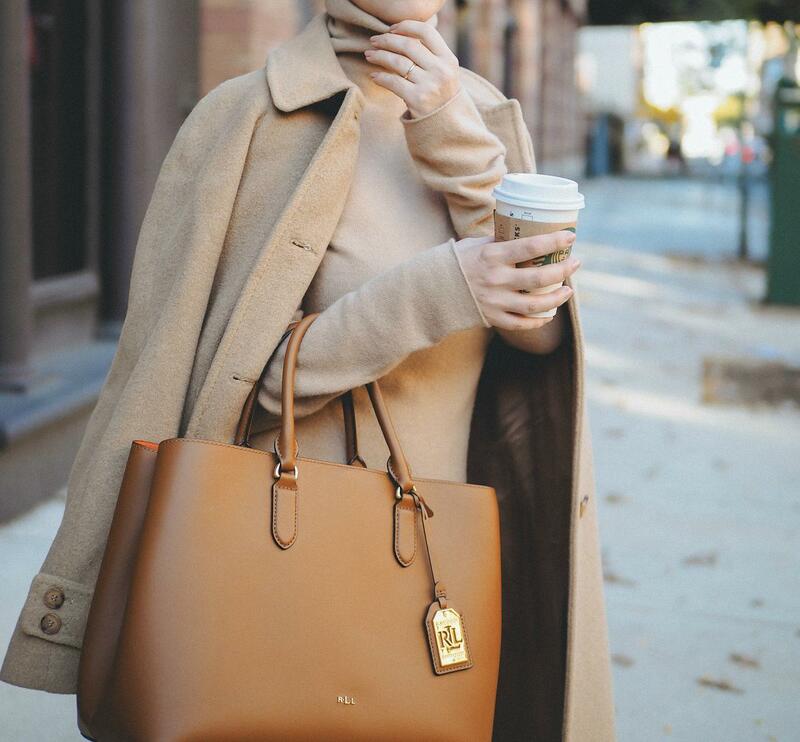 This Ralph Lauren tote bag is another essential piece (all year long) so the look is complete! 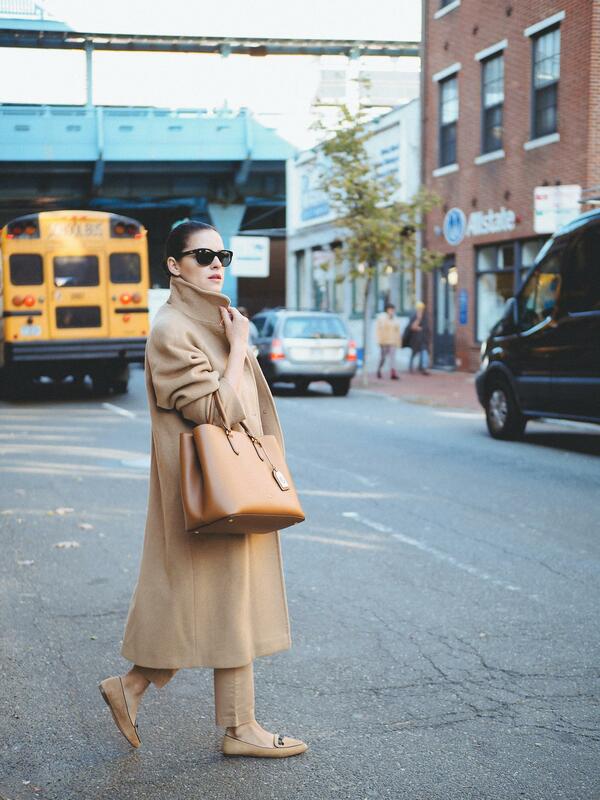 This total beige look is amazing! You’re such a timeless beauty and your style is always spot on! Veronica, You look gorgeous as usual. I had a camel belted coat when I was 16 that I begged my mom and dad for. 2 days after I got it it was stolen from my locker. UGH!!! I will never forget that heart breaking moment. I haven’t owned one since but still hoping to thrift one.